Be any character you want. 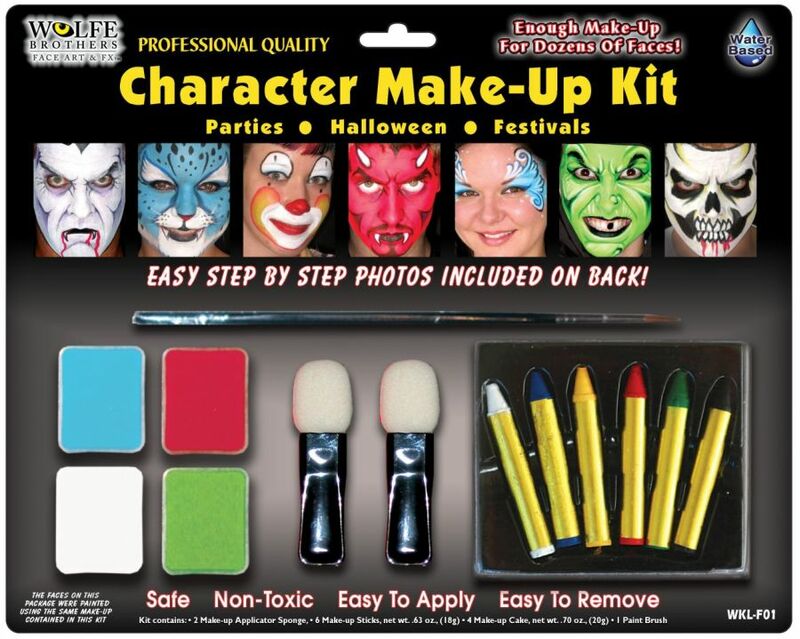 6 makeup sticks (white, blue, yellow, red, green, and black), 2 applicator sponges, 1 paint brush and full color instructions for 3 different faces. Enough for a dozen faces.